Add CSS styles, build page templates and widget areas – FAST! Build your own Genesis child themes faster, easier and with a shorter learning curve. Dynamik Website Builder makes it possible. This site contains Video tutorials and guides. Choose a Dynamik Skin that offers the closest layout to your ideal design. Build any custom templates, widget areas, hook boxes and conditionals you need, there are built in tools to help you do this. Add your content and get your site to look close to the way you want it. 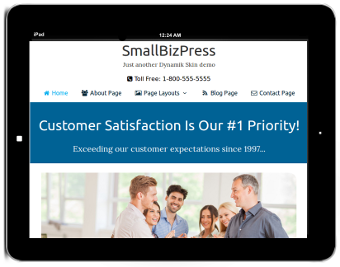 Choose a standard or magazine style home page and widgetized header and footer if needed. Use the point and click CSS tools to tweak the fonts, backgrounds, borders, margins and paddings etc. You’ve got hundreds of point and click options so you can style the site and make it look just the way you want it. Dynamik Website Builder needs the Genesis Framework to run.